An ex-CIA assassin who seeks redemption. A treasure hoard on a remote Alaskan island. A Korean billionaire who unleashes his ruthless killers to get what he wants. Can a Bering Sea crab fisherman use survival skills from his past to save his friends and son? 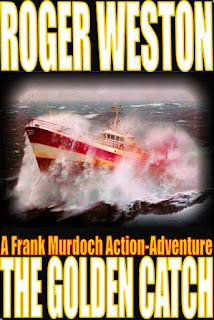 The Golden Catch is set on Kiska Island, which is one of the Aleutian Islands in Alaska. 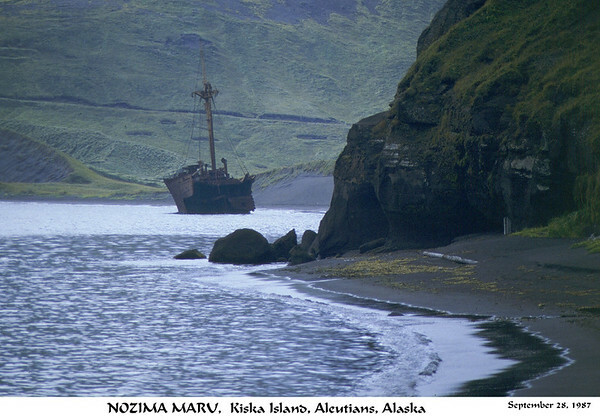 I was inspired to write about Kiska by a visit I made to a ghost town in the Aleutians. Here is a picture of Kiska volcano. This is similar to Frank's view as he sails around the island. This is the Nozima Maru shipwreck. Like the fictional Musashi Maru this is the kind of obstacle that Frank navigates around in his crab boat. Some wrecks like the Musashi are more dangerous because they are hidden just below the surface. 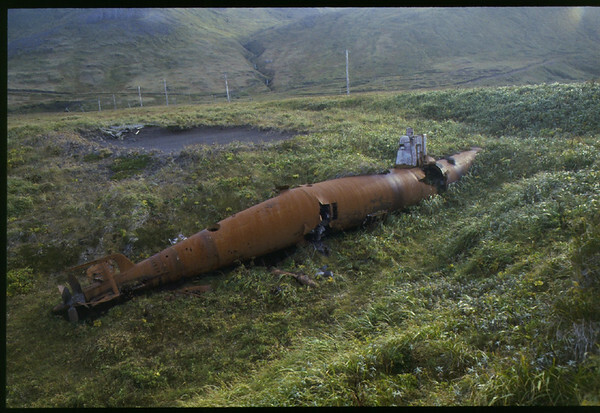 Kiska is littered with war relics like this Japanese mini-sub. Frank uses them to his advantage when the Koreans are hunting him down on Kiska. 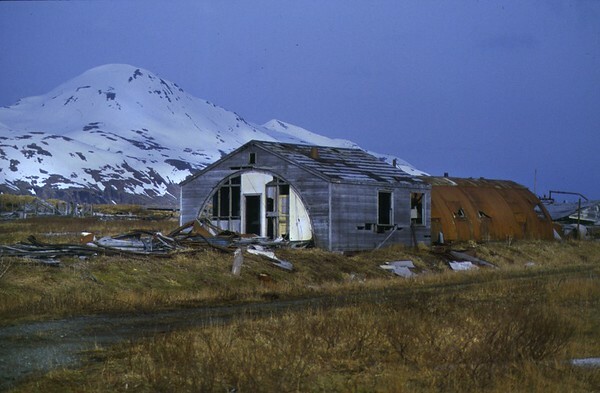 Abandoned Quonset huts from WWII still stand on Kiska. This is where Frank and Brian ambush the Koreans. For a non-fiction account of the war in the Aleutians read The Thousand Mile War by Brian Garfield.